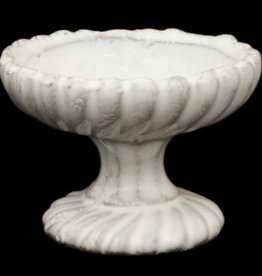 Lovely footed small bowl from Astier de Villatte. 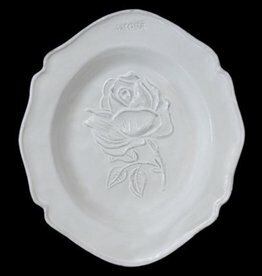 Handmade of black terracotta clay with a milky-white glaze. 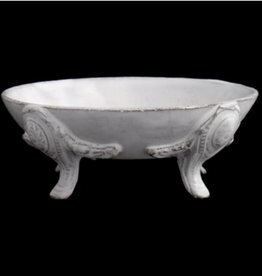 Its beautiful shape gives this little one-of-a-kind bowl that special look and very nice for some sweets on the dinner table!